I want to first give a huge shout out and thank you to AlienGear for collaborating with me with their new Cloak Tuck 3.5 Holster. 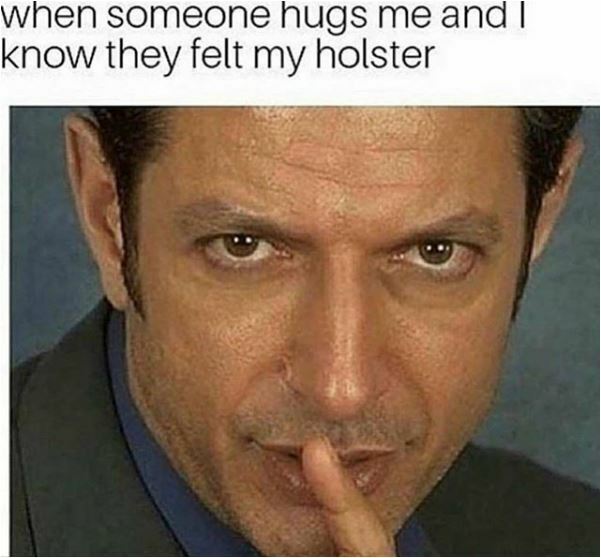 I’ve been a huge fan of these holsters for over 4 years and I’m not alone. The Idaho-based company has garnered tremendous support from the firearm community and boasts some seriously impressive awards, online rating, and critic reviews. It’s actually quite remarkable how far founder and owner Thomas Tedder has taken his creation in 5 short years. It wasn’t even that long ago that he began brainstorming in his Arkansas kitchen. Nowadays, he oversees Tedder Industries, one of the most innovative and rapidly growing gun accessory manufacturers in America. 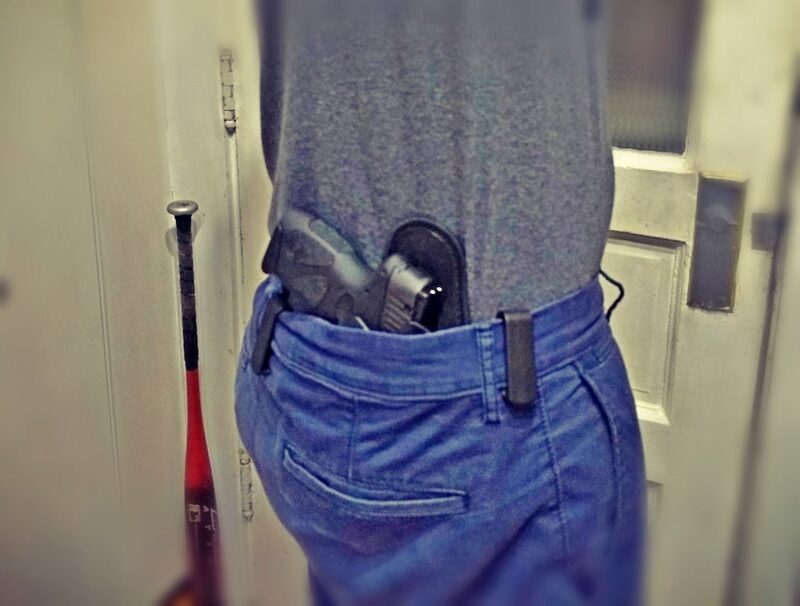 After getting to know the new Cloak Tuck, I’m proud to share with you my take on the next holster in your shopping cart. AlienGear looked to their fans when they decided to launch the 3.5 Cloak Tuck. 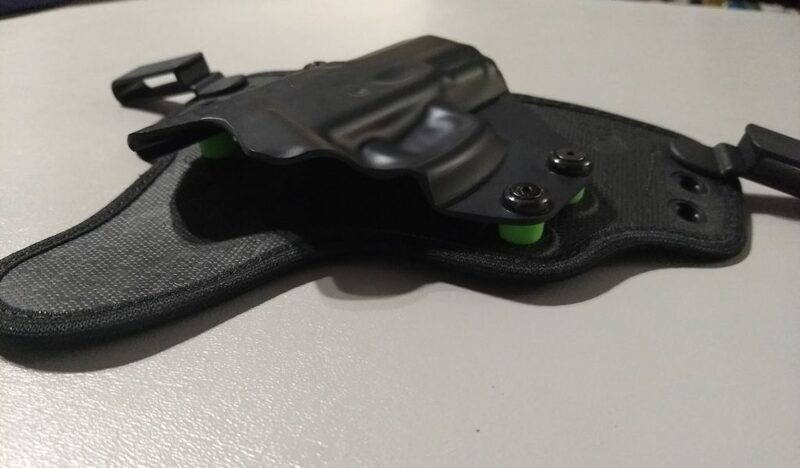 Although the 3.0 IWB holster was plenty successful, the popular brand listened to the criticism and was determined to upgrade it. Like the 3.0, their new holster features a perforated neoprene layered backer. 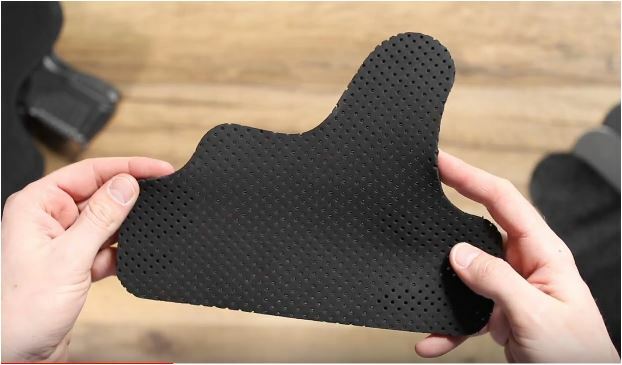 Neoprene is basically a synthetic rubber that has been around since the 1930’s when it was used to manufacture non-metal vehicle parts and war equipment. 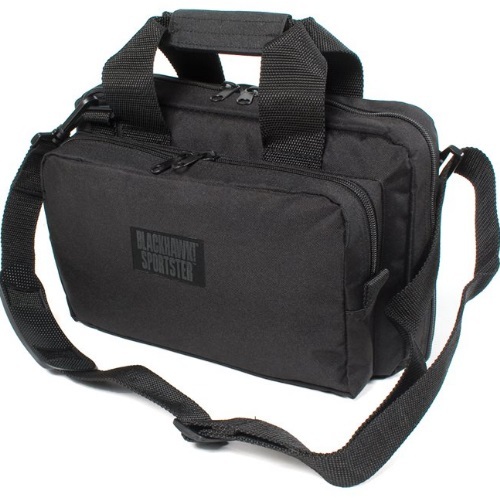 Since then, the versatile polymer can be found nearly everywhere, including coolers, computer cases, and Scuba gear. AlienGear decided to stick with the neoprene backer but improved on it to better disperse heat and sweat. Additionally, this CoolVent™ neoprene is lighter, more durable, and increases airflow. They also added a stitched textile edge to prevent the outer surface from fraying and irritating the user’s skin. Similarly, the updated external layer works to grip the firearm while providing just enough drag for safe and consistent pulls. Furthermore, they inserted a tough steel core underneath the perforated layer to give the 3.5 a major boost in durability and even improve the draw. 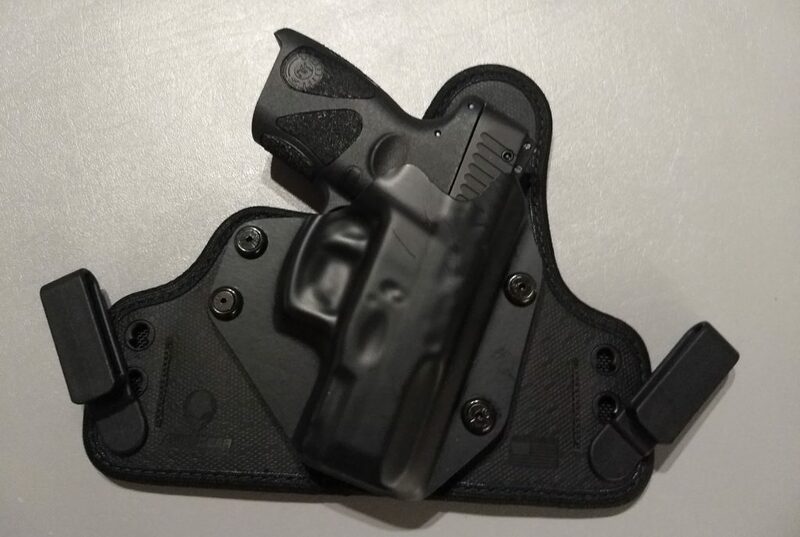 Surprisingly, the added steel plate does not make the holster noticeably heavier or minimize its celebrated flexibility. Next, we have the thermoplastic shell with over 500 handgun molds available for a more exacting and reliable fit. 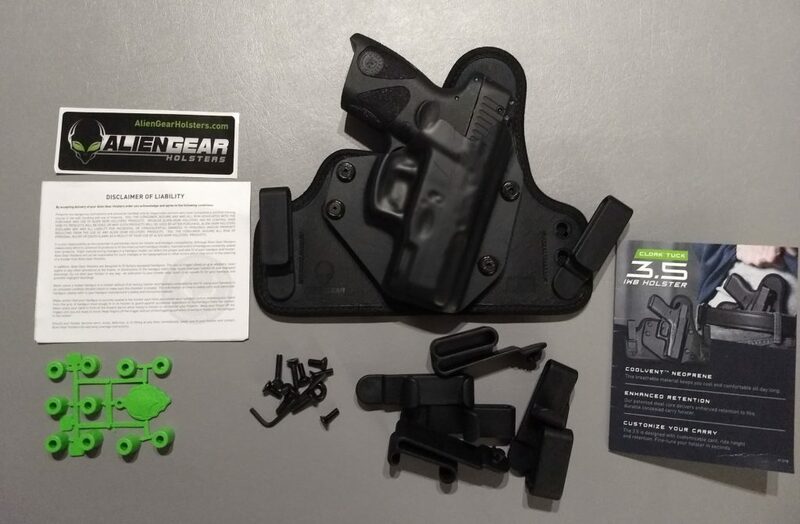 In fact, AlienGear produces their 3.5 IWB holster for practically every pistol and manufacturer you can think of, from Arex to Walther. I can assure you that this smooth and sturdy layer should have you carrying more confidently than ever. Even if you could overlook the innovative materials used by AlienGear, you would still be left with one of the best holsters on the market. This is due to the 3.5 Cloak Tuck’s unparalleled customizability. I don’t even know where to begin. Nonetheless, don’t forget that with all the different gun molds and left/right options, you can use the same base to carry all your pistols by just quickly swapping the shell. If you take a closer look at the new Cloak Tuck you’ll notice that they got rid of all loose hardware and screws and opted for an inventive new design. 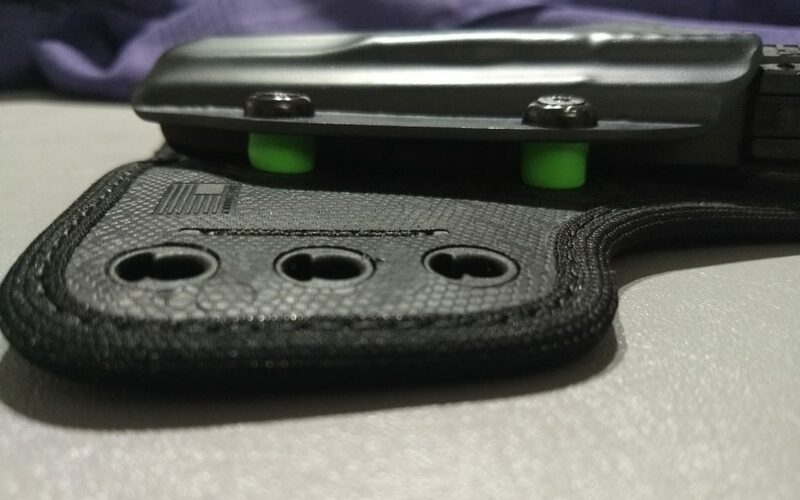 For starters, the attachment point between the outer shell and neoprene backer is connected at four points which can each be fine-tuned for user-specific passive retention. Knowing that screws loosen and add unnecessary weight, they decided to go for tool-less adaptability. 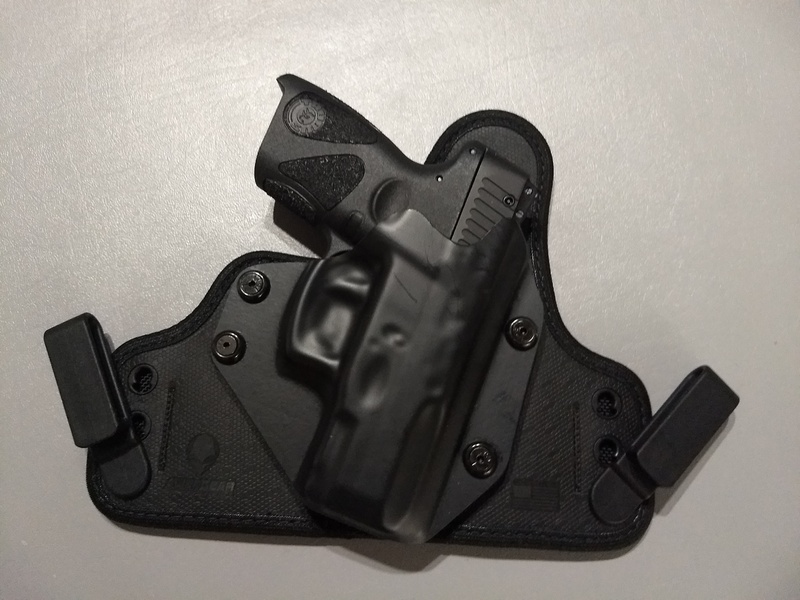 While it may seem simple, the 3.5 holster features attachment clips which can be swapped out, raised, or lowered by merely being turned 180 degrees and pulled outwards. This allows users to effectively customize the ride height and cant in just a matter of seconds. Now if the AlienGear 3.5 Cloak Tuck wasn’t as customizable or innovatively constructed, it would still be worth your consideration. This is because this IWB holster is one of the most comfortable ways to carry a handgun I’ve ever experienced. While both sturdy and lightweight, the 3.5 really stands out due to its exceptional breathability and intuitive design. To balance its strong core with unmatched ergonomics, Alien added flexible wings which perfectly contour to the user’s body. Additionally, while they recommend carrying between the 4- and 5-o’clock position on the hip, the 3.5 carries comfortably with a low profile and little to no printing. Furthermore, between sitting, standing, bending, and walking, the AlienGear holster rests securely in place all day long. In addition to their standard clips, the new 3.5 Cloak Tuck ships with C, O, and J clips. The new Alien IWB holster also comes with an informative instruction manual, tool kit with additional hardware, extra spacers, an AlienGear sticker, and of course, their famous Iron-Clad Guarantee. 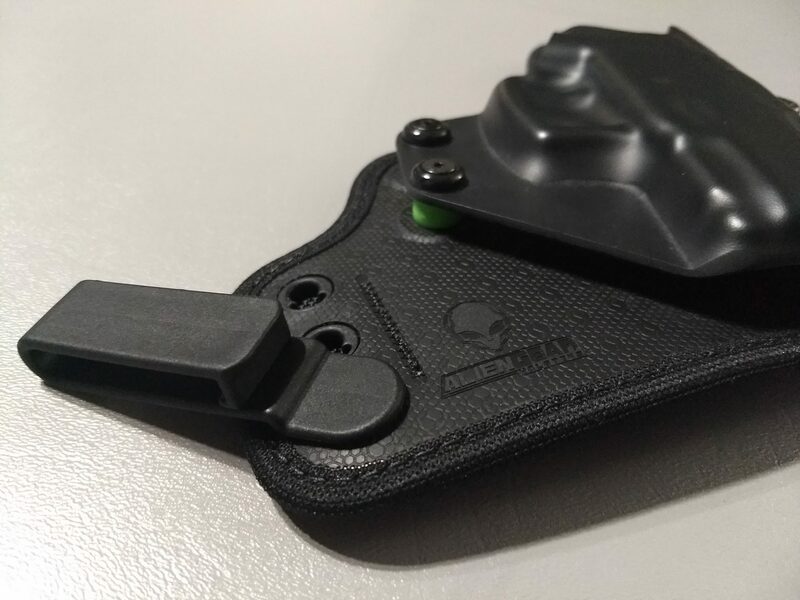 Overall, I can’t help but be impressed by the new AlienGear 3.5 Cloak Tuck IWB Holster. I’ve been a fan of their products for a few years now and it’s only getting better for the Idaho-based manufacturer. I can safely recommend this holster for just about anyone with just about any pistol. Last but not least, I have to applaud them for offering such a solid product with such an affordable price tag. If this is what they can do from their 3.0 to their 3.5, I can’t even imagine what the 4.0 will look like. Thanks for checking out our new Alien Gear feature – be sure to check back for more on all things guns here at Gunivore!